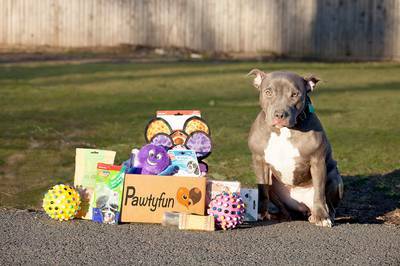 Enter your email address below to receive a notification when Pawtyfun starts accepting new sign-ups! Enter your email address below to receive a notification when Pawtyfun is accepting new sign-ups again. 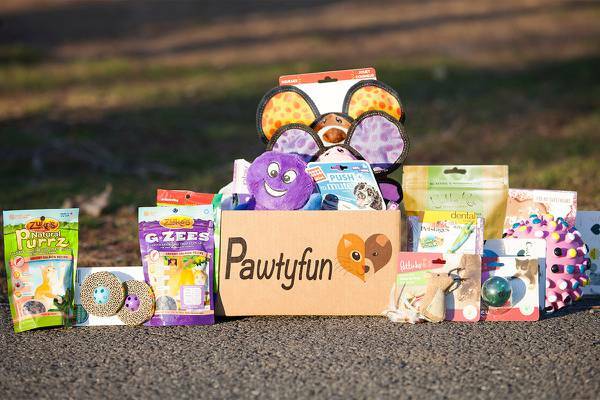 Pawtyfun is a subscription box for pet parents who love to spoil their furry friends with unique toys and yummy treats. 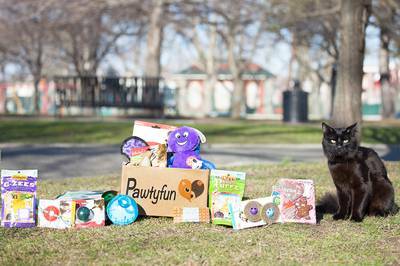 Every month you'll receive a box which contains a finely curated selection of innovative and durable toys, all natural made in the USA treats, tasty and long-lasting chews and a special bonus on your pet's birthday/adoption month. My dog really like Pawtyfun. She loves the treats and toys a lot, and plays with them all the time. 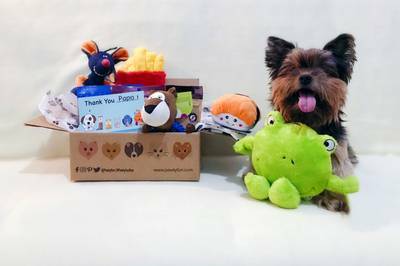 The toys are very good quality and the treats are organic like they said, and the price is affordable. I definitely recommend this box. Can't wait to get more treat and toys for my furry best friend..
First off, I received a treat in the box that expired 1/25/17. Secondly, I requested a petite box for my 5 pound Chihuahua. Only 1 toy out of the 3 sent he could actually play with- the others were too large. I wanted to love this box- but unfortunately it was not a good fit. 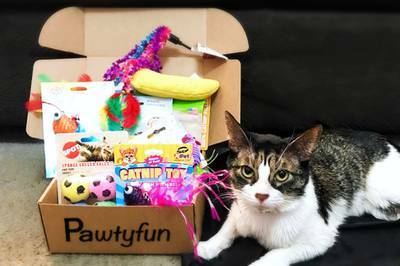 This is my first time buying a subscription box since I wasn’t sure what kind of toys and treats are included because my cat Snarf is a very picky boy! He really love the stuff that came in the box and the box! (he uses it as his second house lol) definitely ordering this again!